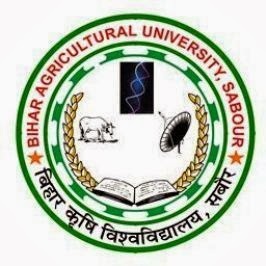 Rajendra Agricultural University (Bihar Agricultural University) released the official notification for the 7th Convocation Program 2013 which is scheduled to be held on 30 Oct, 2013 at 10.00 A.M.
All the students whose results have been declared in between 01.01.2009 till 31.8.2013 should have to submit their application to the registrar before 30 Sept, 2013 in the prescribed format (download link is given below), along with the demand draft of Punjab National Bank of Rs. 550/- for UG (Under Graduate) Students and Rs. 800/- for PG (Post Graduate) Students. More details are given in the following document. The official website of the university – www.pusavarsity.org.in having more details about the convocation program scheduled to be held in the next month. 1. A full dress rehearsal for the convocation program will be held on 29.10.2013 at 11.30 a.m.
2. Degree recipients would have to report on 29 Oct, 2013 at 10 A.M.
3. Degree recipients have to deposit security deposit of Rs. 500/- for the Gown/Hoods etc. which will be refundable.